The Tolerance Education Center invited students, artists, professional photographers, and the community at large to submit photographs for an exhibition that will open this month. The show is titled Identify. The photographs will be auctioned in the future to raise funds for the Tolerance Education Center. For more information visit www.toleranceeducationcenter.org. My name is Valeria Flores and I’ve created this photo for the Tolerance Education Center. This photo represents identity in oneself, I took a photo of my brother who represents a first-generation American who is biracial. As you can see in the photo his face is painted with the Argentinian flag and the South Korean flag which by blood that is his ethnicity. You then can see on his right hand it is painted with the American flag which is placed over his heart to represent that by heart he stands as an American regardless of where his parents came from. 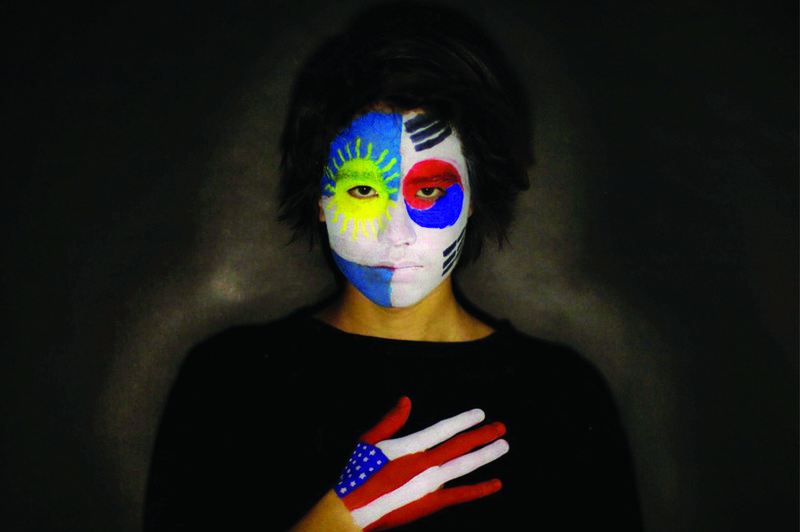 His face painted with the flags representing his parent’s country of origin shows who he is but no matter what will always feel the proud acceptance of being born and raised as an American.